Throughout the Watch's two years on the market, two main pieces of the product have seen continual change. On the hardware side, Apple has consistently updated its collection of available watch bands. 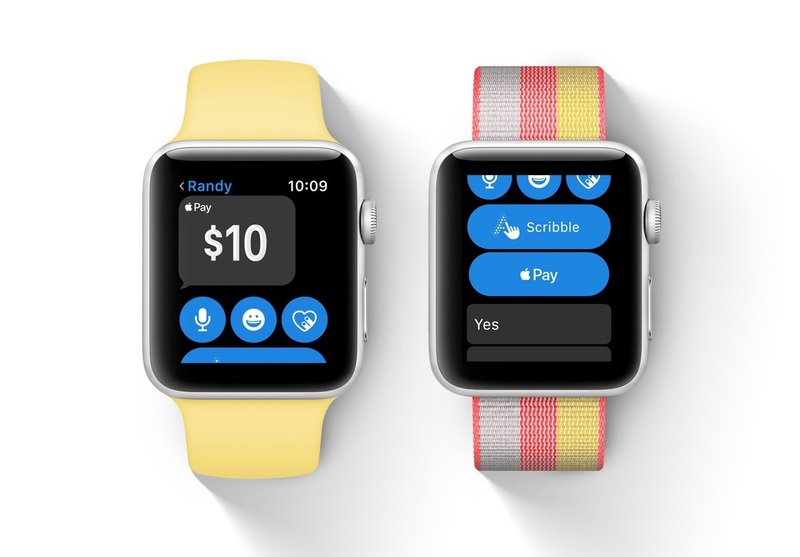 And on the software side, each major update of watchOS has introduced a variety of fresh watch faces. Version 4 is no exception. Likely the most exciting watch face for the tech community is the Siri face. It features a complication that invokes Apple's digital assistant, but its main appeal is in the proactive content cards that Siri populates your watch face with. Relevant information about upcoming meetings, travel time estimates, passes from your Wallet, and more will appear throughout the day as needed – or at least, as needed according to Siri. The watch face displays two to three content cards at a time, and you can scroll through additional cards using the Digital Crown. And when you want to do something with one of those content cards, you can tap it to view more information or open the app it came from. If it truly proves itself to be proactively intelligent, the Siri face could make for one of the most significant alterations to the way Apple Watch is used to date, requiring little if any navigation of different apps, and instead simply doing all Watch interaction through the Siri face. But unfortunately, that's a big if. If you're looking more for aesthetic rather than functional value in your watch face, watchOS 4 also features a Kaleidoscope face and three faces featuring characters from Disney•Pixar's Toy Story. 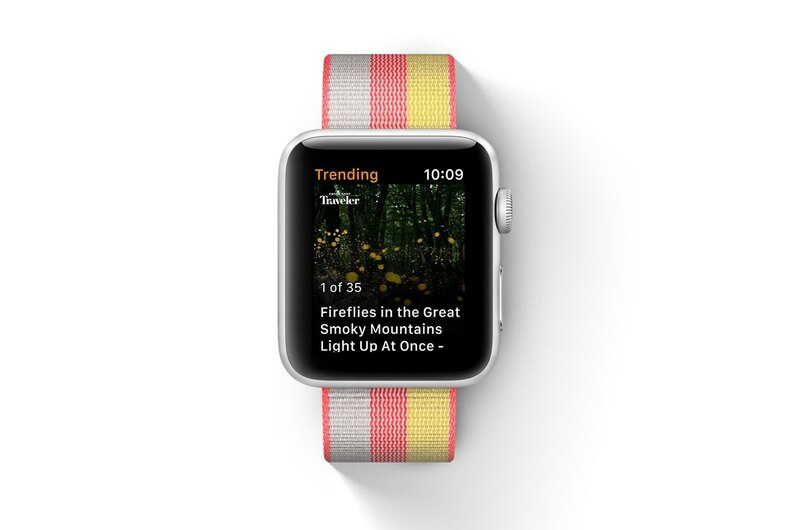 The former takes images from your library of Photos and turns them into interesting patterns, while the latter batch displays short animated scenes every time your watch face lights up. 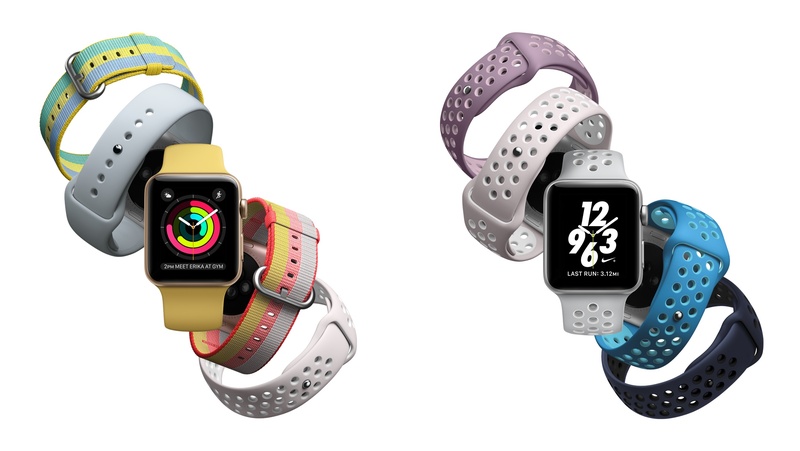 Apple continues its quest to make Apple Watch the ultimate health and fitness device, as evidenced in watchOS 4 by the attention given to the Workouts and Activity apps. Workouts has received a variety of updates. The first makes it easier to start a new workout; a single tap will do the job now. One update I'm excited about is the ability to set certain playlists to automatically start playing when you begin a specific workout; music playback can then be controlled without ever leaving the Workouts out – simply swipe left from the workout summary screen. If you need to run multiple workouts at once, you can do that while your first workout is running by swiping right and hitting the 'New' button that now lives alongside the existing 'End' and 'Pause' buttons. Swim tracking can now automatically detect sets and rests, so you'll have more detailed data at the end of your swim. There's a new workout category called 'High Intensity Interval Training,' so those doing high activity cardio workouts will receive more accurate data. Also, by default Do Not Disturb is now activated whenever you start a workout. A final update to Workouts won't be relevant until later this year, and even then it will only benefit a select number of users. 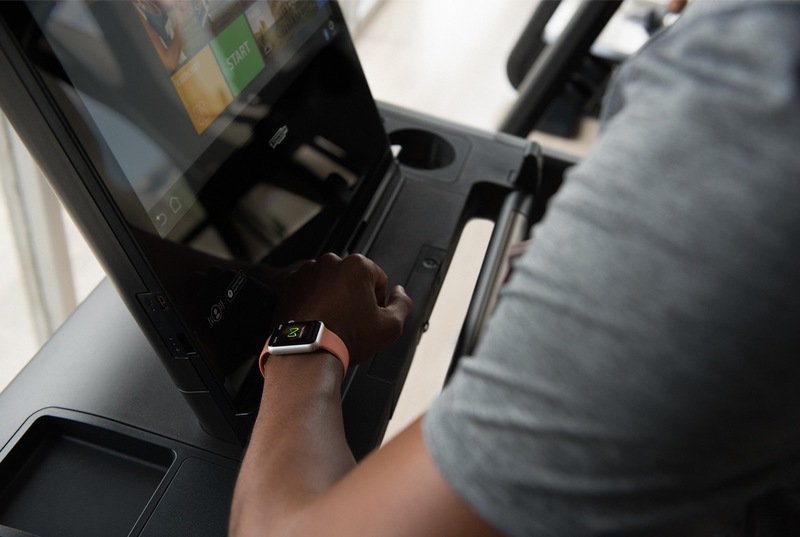 Apple has worked with the makers of gym equipment to have workout data sync from their equipment to the Apple Watch. This special integration also means that starting or stopping a workout on the equipment will simultaneously start or stop it on your Watch. The equipment featuring this integration doesn't begin shipping this fall, but Apple notes that the partners it has teamed with provide 80% of existing equipment in gyms (presumably in the U.S.). The Activity updates are relatively minor compared to those in Workouts. The Activity app will now send more personalized notifications to update you on your progress for the day. One example of this is a notification at the end of the day that says you've almost closed your Move ring, and that taking a brisk 12-minute walk should wrap it up. Another type of notification will let you know when you're getting close to reaching a big achievement, such as topping your previous Exercise streak. Monthly challenges are another addition, encouraging you to one-up your activity numbers from the previous month. There are also nice new animated effects that help make hitting a goal or closing a ring that much more rewarding. While there may not be many major updates in watchOS 4, there are quite a few small tweaks that add up to a better experience overall. The Dock was a major new piece of watchOS 3 last year, and this year the way it's organized has been changed. Rather than scrolling through your list of apps horizontally, all docked apps are now presented in a stack that you scroll through vertically – similar to how tabs work on an iPhone in portrait mode. For the longest time I had no idea you could even use the Digital Crown to scroll through docked apps in watchOS 3, and even now I still accidentally scroll the wrong direction frequently, so a vertical orientation sounds like just what I need. The Music app has received a redesign meant to make it easier to select the music you love using the Watch's limited interface. Like apps in the redesigned Dock, album art in the Music app now appears in a stack that you can vertically scroll through using the Digital Crown. Implemented here, the effect resembles flipping through records or CDs at a music shop. Besides the UI changes, Music now also works better when it's disconnected from your iPhone. Previously you could only sync a single playlist to the Watch, but now there is automatic syncing of several Apple-curated playlists, including My Favorites Mix, My New Music Mix, Heavy Rotation, and the new My Chill Mix. Apple has one notable app debut in watchOS this year: Apple News. It displays news headlines, and if a headline looks interesting, you can take one of two actions on it: either read a brief summary of the story on your Watch, or save the full story for later reading on your iPhone or iPad. Although bringing News to the Watch seems like somewhat of an odd choice for Apple, it makes more sense when considering the abilities found in the new Siri watch face. News headlines fit in perfectly among the other proactive information that face displays. Last year in watchOS 3, Apple made the Now Playing screen more difficult to access than it had been before. In watchOS 1 and 2 you could get to Now Playing by swiping up from the bottom of the screen, but that changed with the advent of Control Center. Although it could be argued that Now Playing would have fit well in Control Center on a second page, similar to the multi-panel layout of Control Center in iOS 10, instead it was relegated to simply being an app in the Dock – and one without a complication at that. While watchOS 4 does not add audio controls into Control Center, it does at least make the Now Playing app more accessible with the addition of a complication. It's a small change, but that complication will undoubtedly receive a permanent space on my Watch face. Apple is adding person-to-person payments through Apple Pay as an iMessage app in iOS 11, and that functionality is available in watchOS as well. In the Messages app, below the Scribble option there is now an Apple Pay button. Pressing it asks you how much money you'd like to send the person, then all you have to do is double-click the side button to complete the payment. A minor new addition to Control Center this year is a flashlight, which essentially just lights up the screen with a bright white light. There have been a number of times I've wanted a flashlight on my Watch before, so this is a win in my book. Apple Watch has seen a lot of software changes in its short lifespan. Its first couple versions lacked real focus, instead adopting a more iPhone-inspired approach of "It can do everything!" The company shifted gears last year with a complete rethinking of watchOS in version 3, and that new foundation is being built on here. There's nothing revolutionary in watchOS 4, but that's okay, because last year set the Watch on a new and focused path. Apple has settled on a vision for the Watch's existence, and that vision fits well with the way I, and many other people, use their Apple Watch every day. watchOS 4 focuses on enhancing the Watch's ability to serve as a source of glanceable information, a fitness tracker, and a device that, paired with AirPods, can untether you from the iPhone. It may not bring the most glamorous improvements, but watchOS 4 pushes the Watch forward in all of these key areas. Revolution isn't needed every year, but evolution is – and that's exactly what Apple has delivered. watchOS 4 will release publicly to all Apple Watch users this fall.